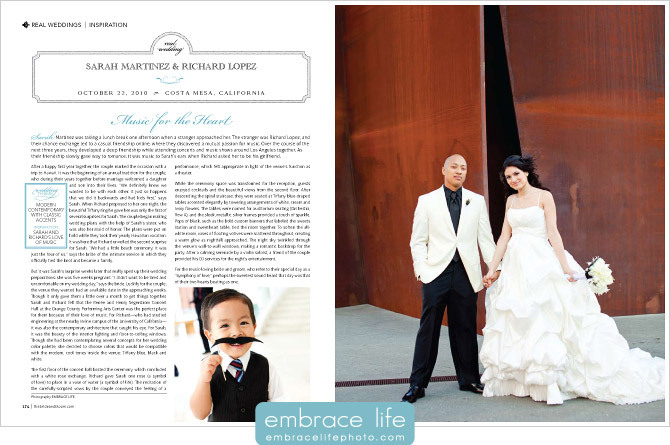 The Bride’s sister, Karla Amador of Amador Events, was the Maid of Honor as well as the event planner. It was a gorgeous event and no details were missed. 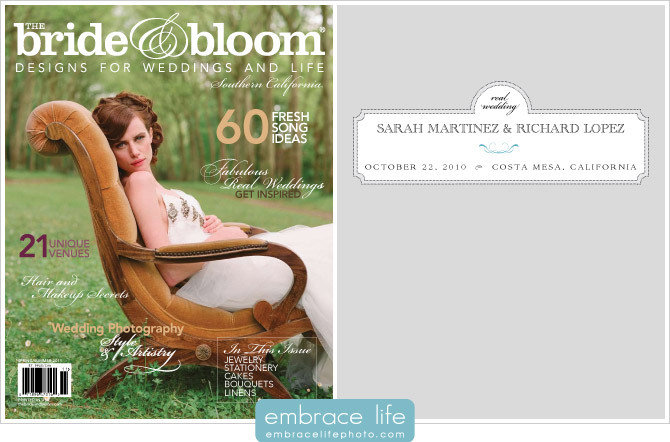 We are so excited that Bride & Bloom Magazine featured Sarah and Richard’s wedding in their Spring/Summer 2011 issue. 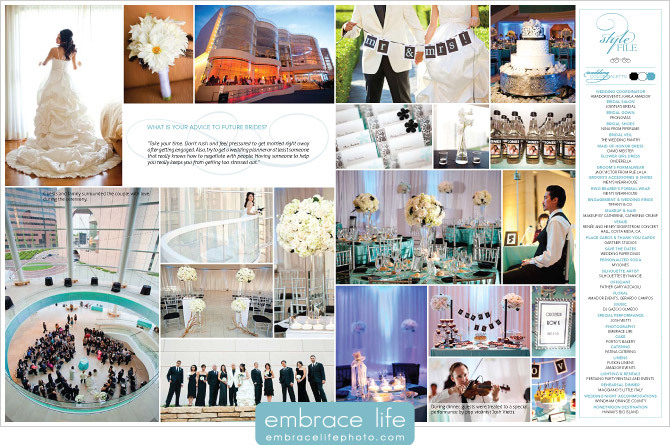 They featured a ton of images that we absolutely love. We hope you enjoy them too!